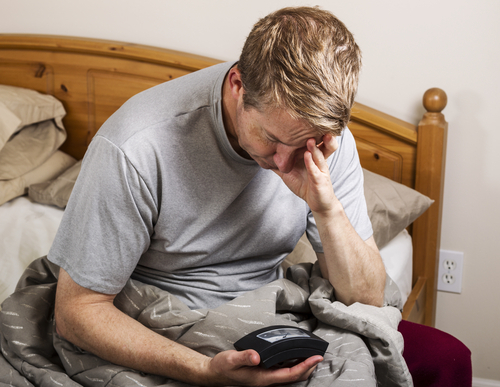 An estimated 18 million Americans suffer from obstructive sleep apnea (OSA), with many of those cases undiagnosed. OSA can come with serious side effects and consequences including fatigue, obesity, and an increased risk of heart attack, stroke and diabetes. Continuous positive airway pressure, or CPAP, has been clinically proven to help. With CPAP, OSA sufferers wear a mask that delivers continuous air that keeps a patient’s throat muscles and air passages from collapsing, thus preventing the snoring and pauses in breathing associated with apnea. CPAP is one of the most effective sleep treatment options available. There’s just one problem however—some people can’t stand it. One study estimates 30-50 percent of CPAP users don’t like the treatment; another survey discovered that about half of patients stop using the device within 1-3 weeks of it being prescribed. However, discomfort shouldn’t be a reason an OSA suffer doesn’t get help for his or her condition—the consequences are just too great. Other sleep treatment options are available for patients who dislike CPAP and should be explored. Recent studies have shown that oral appliances as sleep treatment options can be just as effective as CPAP in curbing OSA. Mandibular advancement devices, or MADs, look like a mouthguard a football or hockey player might use. When worn, MADs push the lower jaw down just enough to redirect breathing through a patient’s air passages. The latest technology allows MADs to be custom-designed for a patient’s mouth to provide the best airflow possible. Similar in concept to MADs, tongue-retaining mouthpieces are worn orally and adjust the position of the tongue during sleep. Instead of holding the jaw in place, however, this device is placed on the tip of the user’s tongue and rests on his lips. Besides treating OSA, tongue-retaining mouthpieces have been shown to help with more kinds of snoring than MADs. Nasal devices are among relatively new sleep treatment options for OSA sufferers. The shape of these small devices vary by brand but achieve the same goal: When placed in the nose, they open the nasal passages more and allow a better flow of air that helps prevent snoring and apnea. Unfortunately, nasal devices don’t help if the OSA patient is a primarily a mouth breather. If apnea sufferers can handle a CPAP mask but are uncomfortable with the continuous air pressure delivered by the device, there are sleep treatment options that might be effective alternatives. Automatic positive airway pressure, or APAP, is similar to CPAP except that it can detect when a patient needs more air (when apnea is spiking) and delivers it only when necessary, as opposed to bombarding the sleeper with air all night. Adaptive-servo ventilation (ASV) uses a mask to deliver air just like CPAP, but the device also monitors a patient’s respiration all night and delivers air as if the patient was breathing while awake. ASV continually adjusts all night and is especially effective for central sleep apnea sufferers. If you suspect sleep apnea, don’t put off exploring your sleep treatment options. As part of the sleep study, we can objectively measure the effectiveness of oral appliance therapy during the OATx portion of the study. Contact the experts at Alaska Sleep Clinic for a free consultation. Have you used CPAP, and if so, how was your experience?